“Two households, both alike in dignity, in fair Verona, where we lay our scene.” We all know the opening prologue of William Shakespeare’s classic tale of star cross’d lovers, Romeo and Juliet, and I’m sure we’re all familiar with the story and the lovers’ tragic end. I’ve read the play several times, I’ve seen the Baz Luhrmann film (it starred Leonardo DiCaprio and Claire Danes as the title pair) and I’ve seen the ballet (Peter Martins’s balcony scene pas de deux is exquisite). But I’ve never seen Romeo and Juliet on stage, and, unfortunately, David Leveaux’s production, now playing at the Richard Rodgers Theatre, disappointed in that it didn’t tell me anything about the story I didn’t already know. This is a fine, if timid, production of one of Shakespeare’s best known plays. (I should note that some scenes or portions of them are cut, probably due to expediency, wanting to get on with the storytelling.) The ensemble is talented and Jesse Poleshuck’s sparse and fluid scenic design keeps the five-act play moving along at an engaging pace. But there’s nothing new or inspired in this production. Yes, it’s set in modern time (Romeo rides around on a motorcycle and the walls are festooned with graffiti, though, thankfully, no one uses a cell phone) but that’s been done before. (See Luhrmann’s film.) And simply setting it in a time period other than the 1500s doesn’t automatically make it relevant. 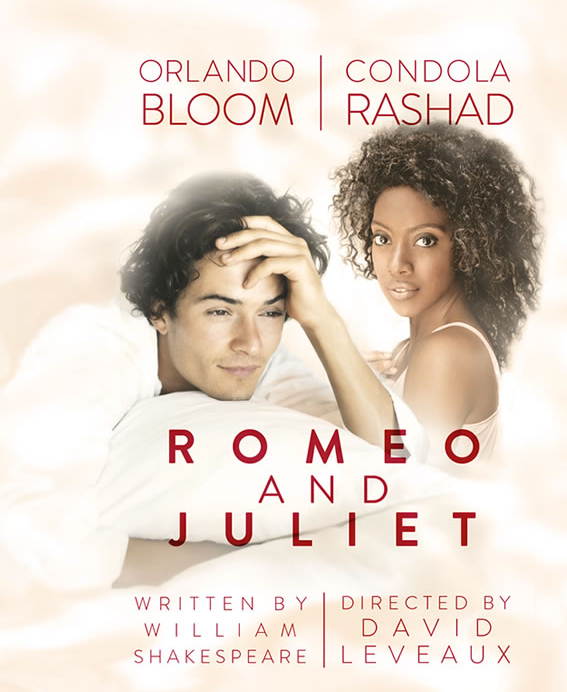 You could argue that the casting—Romeo (Orlando Bloom) and the rest of the Montagues are white; Juliet (Condola Rashad) and the Capulet clan are black—is a comment on current race relations, except that it’s not. (Besides, Jerome Robbins and company took care of that in West Side Story.) The text has not been altered to comment on the “ancient grudge,” now seemingly race-related. Though in an interview, Bloom mentioned that when the play was being cast, he read with white actresses; the Capulets only became black when Rashad was cast as Juliet. So it’s somewhat blind casting, which is neither here nor there. The lack of new insight sticks in my craw because whenever there is a revival, whether of a musical, of a Shakespearean play or something else, I always ask, “why now,” and that question was not answered. As I’ve said before, sometimes productions are so good that the why now question is superfluous (like Anything Goes; no reason to have revived it in 2011 but it’s so much fun so why not? ), but that’s not the case here. To be sure, Shakespeare’s words are music to my ears and it’s a delight to hear them spoken out loud. But to revive Romeo and Juliet, with its brilliant text and timeless drama, and not do anything with it, then a plague on both your houses. All that said, there are some saving graces in the production. 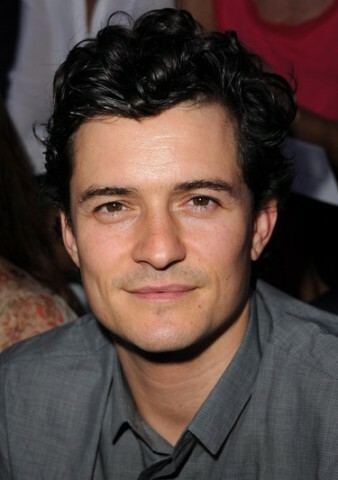 Orlando Bloom, making his Broadway debut, is moody and full-on emo as the lovelorn Romeo. Chuck Cooper (ChoirBoy) and Roslyn Ruff impress as Lord and Lady Capulet. Cooper, in particular, has fun with the role in the first half, when Lord Capulet is basically an overgrown party boy (I loved the dancing and live music during the party scene), and he thunders across the stage for his “is she not proud” confrontation with Juliet. The talented Jayne Houdyshell (Dead Accounts, Follies), does reliably good work as Juliet’s nurse. She is the comic relief when it’s called for but balances it out with authentic pathos when appropriate. Christian Camargo finds humor and bombast in the theatrical Mercutio, though his showdown with Tybalt (Corey Hawkins) is rather tame. Standing out is two-time Tony nominee Condola Rashad (Stick Fly, The Trip to Bountiful). She beautifully brings to life Juliet’s youthful exuberance and naiveté. Her performance is intimate and escapes the typical trappings of a young actress tackling this iconic role. Unfortunately, the same cannot be said of some of the directing choices. I was especially displeased with the melodramatic ending scenic/lighting change, which hits us over the head with the “it’s a new day” message. And moreover, the accents are all over the place. It’s a terrible practice that most of Shakespeare’s works are performed in an English accent, even by actors who are not English and even though many of his plays are set outside England. (To wit: it’s “fair Verona, where we lay our scene.”) Not everyone in this production puts on an accent. For example, Rashad speaks in her natural American dialect. 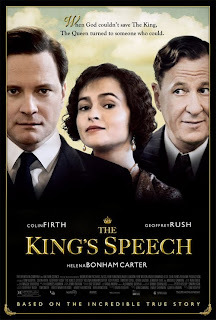 Bloom is, of course, an Englishman, and so he, too, speaks in his natural dialect. Fine. No complaints there. 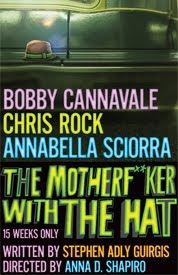 (I certainly don’t expect Italian accents; that would border on buffoonery.) But American Justin Guarini (Women on the Verge…), who plays Juliet’s intended, Paris, affects some mish-mosh of English and over-enunciated American, as do some other actors. It’s a curious thing. There are a lot of play revivals on the boards this fall, and four Shakespearean plays, at that. 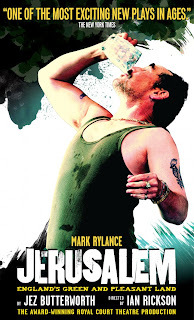 (Something wicked this way comes with an Ethan Hawke-led production of Macbeth (yes, another one), and Mark Rylance stars in the all-male repertory productions of Twelfth Night and Richard III.) I’m looking forward to seeing those, and hoping that they show more imagination than this production of woe brings to the story of Juliet and her Romeo.